Photo: Kit Harington, Emilia Clarke (Credit: Helen Sloane/HBO). Please note this is a promotional photo for press only. U.S. viewership (in millions) for each season was: season one — 9.3; season two — 11.6; season three — 14.4; season four — 19.1; season five — 20.2; season six — 25.7; season seven — 32.8. 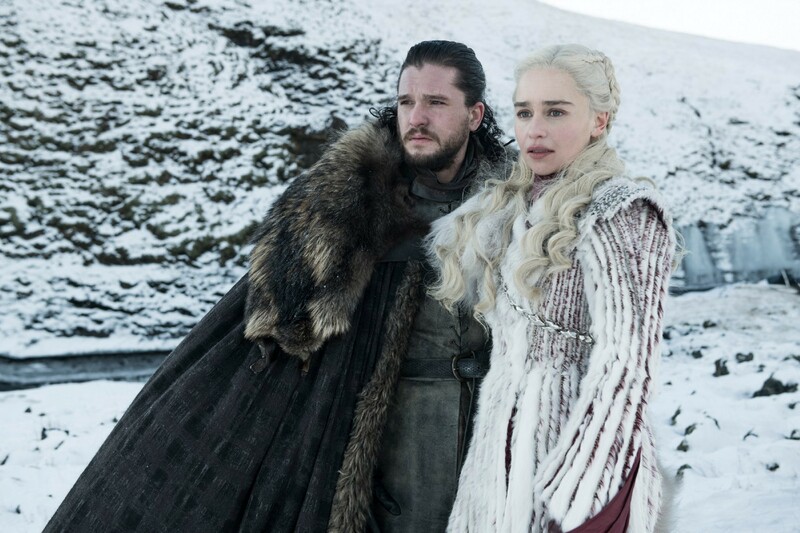 Weeks of post-production per season were: season one — 17; season two — 21; season three — 20; season four — 21; season five — 22; season six — 24; season seven — 30; season eight — 42.